Make this a Happywala New Year! Flow with your Life to experience the abundance and grace in it! We had a meaningful New Year’s Eve. A few of us friends had got together. Through the evening, as the best of R D Burman and Kishore Kumar songs were played, and sung, we also had an interesting activity on. Everyone got a word from Santa’s big red bag that was passed around. Each person had to talk about the word in the context of the year gone by and what they hoped for in 2016 in relation to what the word meant to them! So words like ‘Celebrate’, ‘Miracle’, ‘Serendipity’, ‘Awesome’, ‘Magic’, ‘Learn’, ‘Unlearn’, ‘Inspire’, ‘Happiness’, ‘Love’, ‘Be Yourself’, ‘Poetry’ and ‘Let Go!’ popped out of Santa’s bag! Most people who spoke related beautifully to their words, pausing to reflect on what the word had meant to them in 2015. Someone shared how the year had been full of celebrations all through! Another spoke of being awesome and celebrating awesomeness. The gentleman who got the word magic asked us to consider the magic in the moment when the year changed! Another talked about how spending time with his father, before he passed on, was an opportunity to re-experience unconditional love. Vaani talked about her inspiration that led her to resume learning music in 2015. And there was this friend, who did not exactly know what serendipity meant but realized upon reflection that everything in our lives is, uncannily, serendipitous. The word I got was, interestingly, aptly, happiness. To me happiness is not just a state of mind or an attitude, it is a state of being. Over the last few years this state of being has helped us as a family face – and survive – what can be described as, to put it matter-of-factly, a cathartic phase in our Life. To be sure, we continue to grapple with imponderables. But we have learnt the art of being happy despitethe circumstances. Being happy does not guarantee that your problems will disappear. Or that solutions to your problems will immediately appear. Being happy, we have discovered, has simply helped us feel and experience the abundance and grace that surrounds us. When you are happy, you magically see only what is – and don’t get stuck only complaining about what you don’t have. So, as we enter yet another year when our financially uncertain situation endures, we celebrate that we all have good health, we have a home to come back to, we have each other and that we have friends who treat us with love, compassion and dignity. Through this celebration, we recognize the grace that fills our lives, always giving us all that we need! Really, it is not what happiness is. 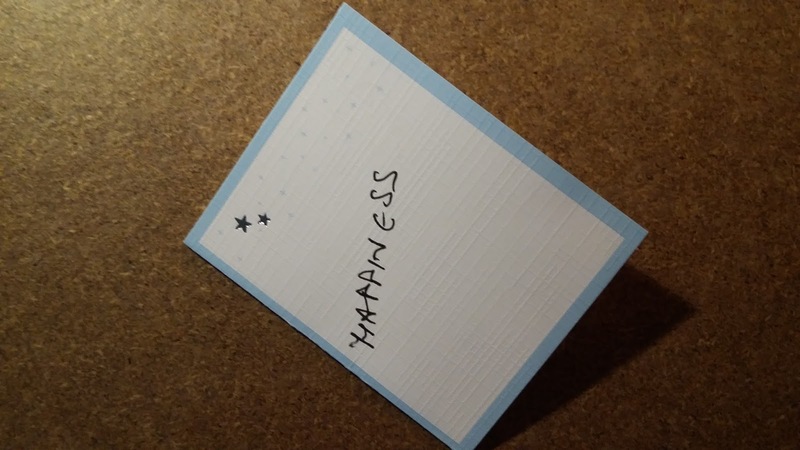 It is what happiness does. It makes you live a fuller Life, no matter what’s happening to you! What comes between you and your happiness is you. You are unhappy only because you are trying to control what’s happening to you. When you try to control Life, you are not in it. You are looking at Life as if it were a problem that you have to solve. As if it is a third party that you have to deal with. Instead if you flow with Life, you will find that it is filled with abundance and grace every step of the way and you too will, as one of our friends last night exclaimed as the clock struck 12, have a Happywala 2016! Author AVIS ViswanathanPosted on January 1, 2016 March 14, 2016 Categories Abundance, Art of Living, Celebrate, Grace, Happiness, Happy New Year, http://schemas.google.com/blogger/2008/kind#post, Inner Peace, Intelligent Living, Kishore Kumar, R D BurmanLeave a comment on Make this a Happywala New Year! Remember: you too have come with an expiry date. So, live, don’t exist! “The wine of Life keeps oozing drop by drop, the leaves of Life keep falling one by one!” – wrote Omar Khayyam, (1048~1131), the Persian poet, in his classic ‘The Rubaiyat’. Realize the value of each moment. At least from now on, go do what you love doing. Don’t think. Don’t analyze. Just do it! Also, please make time for your family and children today. Because even before you realize it, time would have flown, the birds too would have flown, leaving your nest empty. What you will be left with are just memories. Those are funny things, these memories. The stuff you laughed about will make you cry and what you cried over, you will laugh about when you look back! Work hard without doubt. Earn money, that’s important. But with advancing age, decreasing efficiency, and limited time left on this planet, what you will be left holding are only memories. Make sure they are happy ones, of happy times, of memorable moments that you want to relive. Not of times of which you have no memories because you merely existed back then! Someone wisely said, we don’t remember days, we remember moments. Ensure each of yours from now on are worth living for and remembering happily later! We all have come with an expiry date. Except we don’t know what that date is. So, when you don’t know how much time you have left here, won’t you want to make each day, each moment, count? Author AVIS ViswanathanPosted on July 2, 2015 March 14, 2016 Categories Aashirwad, Art of Living, Gulzar, Hrishikesh Mukherjee, http://schemas.google.com/blogger/2008/kind#post, Inner Peace, Intelligent Living, Kishore Kumar, Life, Make Each Day Count, Memories, R D Burman, TimeLeave a comment on Remember: you too have come with an expiry date. So, live, don’t exist! Except what you will be remembered for, nothing is permanent. Neither your success. Nor what you call failure. Everything changes. You too have changed. You too will lose everything that you desperately seek to protect: your name, your position, your salary, your savings, your assets. You too will move on, when your time comes. This is the Law of Life. This is the way of the Universe. If this is so, why do we fret, fume, worry, amass, control, protect, fear and feel jealous of or hate another? Understanding the impermanence of Life itself and of each experience that comes with it in this lifetime is intelligent living. Whatever has happened, whatever is happening, whatever will happen to you cannot be changed. It is when you live with this realization that you actually live. And until you get this simple truth about Life straight, you will struggle and suffer through Life. Last evening, I was listening to one of R.D.Burman’s compositions – Musafir Hoon Main Yaroon – (Parichay, 1972, Gulzar, Kishore Kumar). To call Rahul Dev Burman just great is perhaps blasphemous. 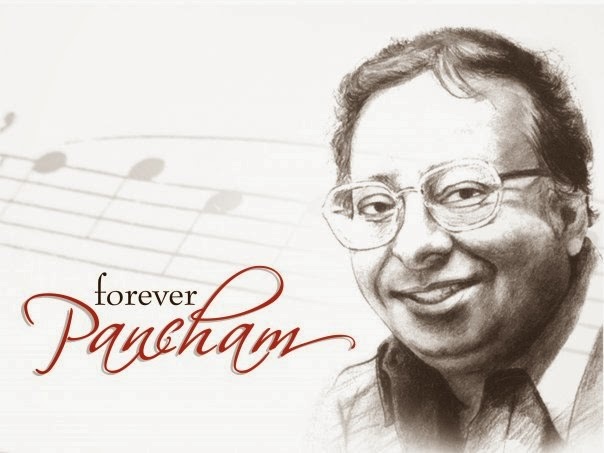 RD or Panchamda as he was fondly called, was__and IS__one of India’s greatest music composers. Between 1966 and 1982, he ruled Bollywood. I am sure no one needs any introduction to his genre or his songs. Just a gentle reminder will get us all humming. It is said that he composed ‘Aye Meri Topi Palat Ke Aa’ for his father Sachin Dev Burman’s 1956 ‘Funtoosh’when he was hardly 9 years old! The golden years of Hindi cinema were courtesy RD: ‘Aaja Aaja Main Hoon Pyar Tera’ (Teesri Manzil, 1966), ‘Dum Maro Dum’ (Hare Rama Hare Krishna, 1971), ‘Piya Tu Ab Toh Aaja’ (Caravan, 1971), ‘Chingari Koi Bhadke’, ‘Kuch Toh Log Kahenge’ ‘Yeh Kya Hua’ (Amar Prem, 1971), ‘Duniya Mein Logon Ko’ (Apna Desh, 1972), ‘Chura Liya Hai Tumne’ (Yadoon Ki Baraat, 1973), ‘Is Mod Se Jaate Hain’ (Aandhi, 1975), ‘Mehbooba Mehbooba’ (Sholay, 1975), all songs of the musical blockbuster Hum Kissi Se Kum Nahin, 1977, ‘Nam Gum Jaayega’ (Kinara, 1977), ‘Aaj Kal Paon Zameen Par Nahin Padte Mere’ (Ghar, 1978), ‘Piya Baawri Piya Baawri’ (Khubsoorat, 1980). The list is endless. Each of his songs can send people like me into a rapturous, emotional nostalgia trip. Yet, writes Bollywood chronicler and RD-admirer, Ganesh Anantharaman in his book ‘Bollywood Melodies’, “despite the youthful hit scores of Love Story (1981) and Betaab (1983), I believe that by the 1980s, RD was in the throes of a serious identity crisis. He had exhausted his capacity to create westernized jazzy scores. He had too many instances of his more melodious scores being rejected, mostly because the films were badly made or did not have the right star cast.” In reality this translated into RD being totally rejected by Bollywood. Can you imagine one of the greatest music composers of all times knocking on the doors of producers and studio owners in Mumbai “asking” for an opportunity? Where R.D. Burman had made a career from songs with a strong Western jazz influence, he found that he was repeatedly being outdone by Bappi Lahiri’s Western “inspired” disco. There were a few reprieves though from this ignominy. Notable among them, once again showcasing his genius, was the work he did for his close friend Gulzar: ‘Mera Kuch Samaan’ (Izzazat, 1987). He plodded on, hurt, humiliated, financially devastated, in pain and suffering. ‘1942-A Love Story’, Vidhu Vinod Chopra’s super hit, and whose music restored RD’s glory convincingly came, I guess, a trifle too late. Although he had poured his heart into composing the film’s music__evident with the runaway success of the numbers ‘Ek Ladki Ko Dekha’, ‘Kuch Na Kaho’ and ‘Pyar Hua Chupke Se’__he died, beaten, rejected, dejected on January 4th 1994, several months before the film’s release and, therefore, before seeing his last work reach cult, iconic status. Such is Life. You could be on top one day. And hit rock bottom on another day. Or you could be catapulted to glory from the throes of defeat, failure and frustration. The key to intelligent living is to recognize the transient nature of Life. Then you will want to live well, in the moment, doing whatever you can do__the dishes, painting, cooking, teaching, curing, leading, whatever__the best way you ever can. Don’t get carried away by fame. Don’t get defeated by insults and rejection. What lasts is the immortality of your work__when you leave behind a legendary body of art. Just the way RD’s music is. Everything else is impermanent. Not everything in Life can be explained. It’s inscrutability is what makes Life interesting. Last evening a few of us friends got together and sang songs late into the night. Among them were some songs composed by the legendary Rahul Dev Burman (1939~1994). As we sang “Musafir Hoon Yaaron, Na Ghar Hai Na Tikhana, Bas Chalte Jaana Hai…” (Parichay, Gulzar, 1972, Kishore Kumar), one of us recalled that RD composed this song, dripping wet after a shower, because he was inspired by his friend strumming a guitar in his room while he was in the bath! Everyone agreed wholesomely that RD was an unparalled genius. Someone then pointed out that it was RD’s death anniversary! It was on January 4, 1994, that RD had passed away. It was indeed a tragic, premature end to a glorious, prodigal Life! Starting with “Aye Meri Topi Palat Ke Aa” (his father SD Burman used this song in Funtoosh in 1956) which he composed when he was just nine years old, RD ruled Bollywood through the 1960s, 1970s and the early 1980s. He composed music for over 300 films and practically every next generation, which followed him, musician in the industry had worked with RD, learning at his feet, at some point or the other. During 1984~1994, RD’s career flopped miserably. He is believed to have gone from studio to studio, asking film-makers for work. But no one wanted to touch him even with a barge pole. The disco generation had arrived and Bappi Lahiri’s music was scorching the charts. Not that RD had stopped making good music. In fact, what is ironical is that some of the music that RD scored in the 1984~1994 decade, including films like Manzil Manzil, Zabardast, Izzazat and Parinda, is considered “genius stuff” today, long after he is gone. In a fan mail to RD in today’s Hindu, Bishwanath Ghosh (who calls himself RD’s greatest fan), writes: “People are usually forgotten after they die; it happens to the best of people — at the most, they are perfunctorily remembered on their birth and death anniversaries. But you made a stupendous comeback after your death. When you died, you were R.D. 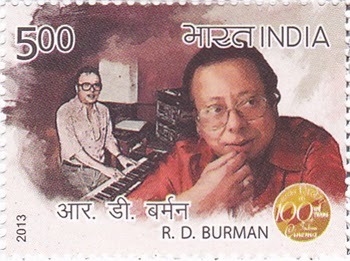 Burman, the composer. When you returned, you were R.D. Burman, the brand. A mortal resurrected as a magician. Today, every young composer wants to be you.” Interestingly, RD never won a National Award in his entire career, and won only three Filmfare Awards – one of them for 1942: A Love Story, posthumously! Today, RD is revered in Bollywood. People truly worship his music and his legacy. India Post, in May 2013, even released a postage stamp in his honor! Yet, some unanswerable questions haunt us! Why did his career flop in that painful decade? Why did film-makers who had made their millions on his music like Nasir Hussain (who had used RD for each of his films starting with Teesri Manzil in 1966, but did not use him for Qayammat Se Qayammat Tak in 1988) dump him? How is it that the music of his “flopped” films in that decade are now treated as priceless gems – a testimony to his wizadry with sounds and instruments in a non-techno era? The answer to all these questions – and more – is only one: Such is Life! No one can ever be on top always. What goes up, has to come down. Talent, sincerity and integrity cut no favor – in fact, they offer no guarantee whatsoever – with what hand Life deals you. Even so, despite its mystical quality, Life is beautiful. Not knowing what will happen next makes this lifetime interesting and fills it with adventure. The best way to live Life, therefore, is to go with the flow – not get carried away by success nor get beaten by failure – savoring both the highs and lows! The bigger tragedy of RD’s last years was he became bitter about the way Life had dealt with him. He died a heart-broken man, hurt that he had been ignored and shunned by the same people who had once celebrated him! RD’s story offers us this invaluable lesson: the only option we have is to live with whatever Life gives us. 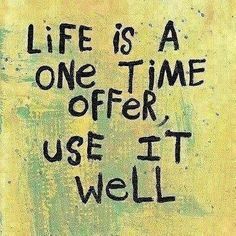 If we take this approach to Life, we will be better from each experience that we go through. If you must thank anyone, thank Life – for giving you this once-in-a-lifetime opportunity to learn, unlearn and relearn….! As Thanksgiving weekend begins, the energies are perfect to pause, to reflect and to feel grateful for all the blessings in your Life. It’s a great season – warm and compassionate, beautiful and soulful. Yet, gratitude must not be expressed seasonally. It has to be flowing perennially – oozing from your every pore, bubbling from the fountainhead within you. The reason we don’t always feel grateful all the time is because we take much of Life for granted. We have subconsciously come to believe that we have the right to demand, to seek deservance and to expect Life to be our hand maiden – pandering to our whims and desires. But just the opposite is true. Since you – or I – did not ask to be born, since this lifetime is a gift, all that you can and must do in Life is to accept whatever comes your way – and be eternally grateful for it. I was at a south Indian Palaghattan (a community of Brahmins having its roots in Palakkad, Kerala) wedding this morning. The wedding feast is a must for all invitees. It is an elaborate multi-course meal served on a banana leaf. Today’s menu had over 24 items on it. But something appeared to have gone wrong in the kitchen this morning. Or was it with the service crew? Either we guests had arrived for the sadya, the feast, several minutes ahead of the kitchen being ready with the whole meal, or the service crew were short-staffed. Whatever may have been the reason – the food service was haphazard and woefully slow. The rasam arrived ahead of the sambar. And the thayir-pachadi (a curd-based vegetable side dish) came after the whole meal was over! Several guests did not even receive all the 24 items that were on the menu. Even as I felt sorry for one of the hosts, who was running around rallying the kitchen crew to fall into a systematic way of serving, I could not but help recall what Epictetus (55~135 AD), a Greek thinker and philosopher, had to say about Life: “Remember that you must behave in Life as you would at a banquet. A dish is handed round and comes to you; put out your hand and take it politely. If it passes you, do not stop it. 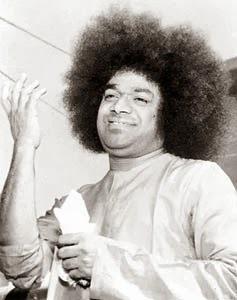 If it has not reached you, do not be impatient to get it, but wait till your turn comes.” I would like to humbly suggest that when your turn does come, be gratefulfor whatever you get! The wedding feast and Epictetus’ banquet metaphor perfectly sum up the spirit we need to nurture in Life! Not just around Thanksgiving but all the time. But in an instant-gratification, what’s-in-it-for-me world, where is the time to feel grateful for anyone or anything? Which is why we perhaps need a season to remind us of it. One of the most inspiring examples of gratitude I have known is the way the inimitable Asha Bhosle, now 80, feels about Life. She’s had a roller-coaster 80 years! A bad marriage, being thrown out of home by her husband, struggling to get a toehold in Bollywood as a playback singer, a victim of her own sibling’s designs that prevented her from growing in her career, an eventful relationship with R.D.Burman before he suddenly died in 1994, the death of her only daughter who committed suicide recently. Such a Life, filled with pain and strife, could have numbed anyone. But not Ashaji! She was asked by Forbes Life a couple of years back what she thought of Life. She replied: “I am very grateful. If I had not married, I would not have had such wonderful children and grandchildren. If I had not married, I would not have left home. If I had not left home, I would not have started singing. If I had not met Bhosle (her estranged husband who ill-treated her), I would not have become Asha Bhosle!” What an inspiring take on Life? “If I had not met Bhosle, I would not have become Asha Bhosle.” How many of us can forgive someone who caused us immense pain and look at Life from this perspective – with absolute gratitude! Beautiful!! 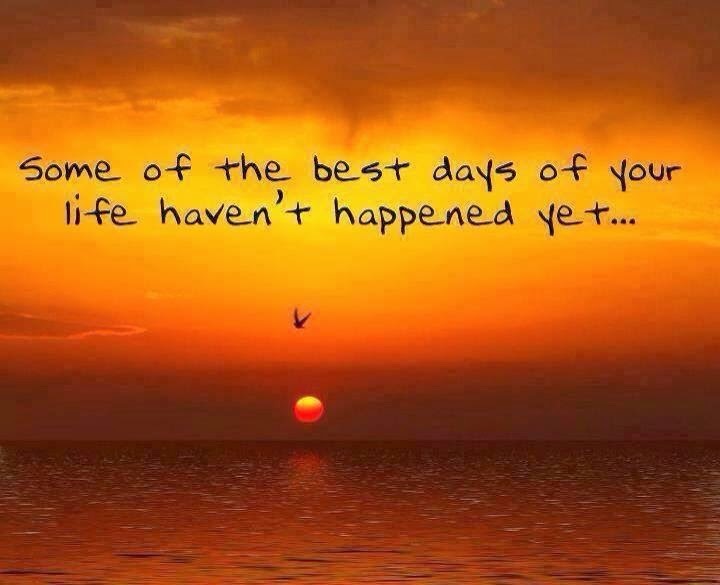 Let us always remember that Life is a gift. The only way to live our lives is to celebrate Life in every moment! Every event we go through, each person we meet, is a teacher. Each experience is teaching us to live fully and happily – no matter what we have to face or endure. We are the ones who label each event as good or bad. From Life’s point of view, each event is simply a learning opportunity. It is for this continuous learning that we must be grateful – not just in this season, but all the time!